Watch your thoughts as they become reality! What you think is what you attract! 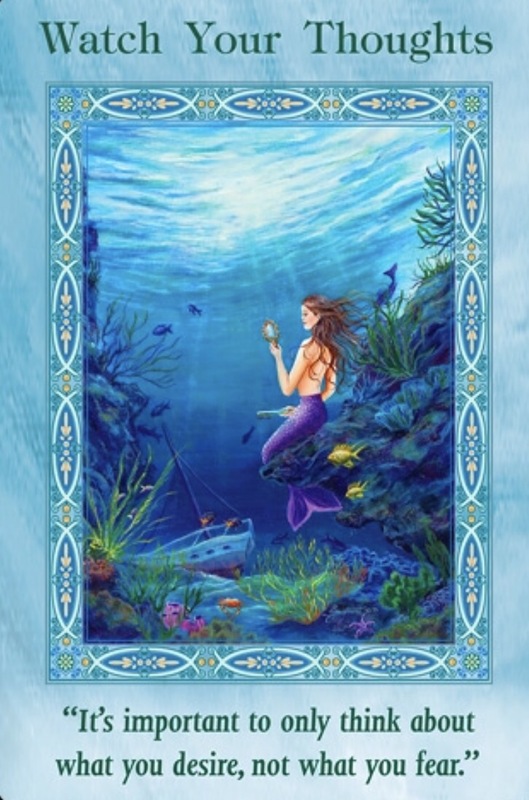 By drawing this card, you’re alerted to the extra importance of monitoring your thoughts. You have no neutral thoughts, and every one of them creates an effect in your life. So you’re being asked to be vigilant in holding only positive thoughts. Then list the situations and attributes that mirror your godliness and goddessliness. During this important part of your life, you have the power to manifest your highest potential at the most rapid rate possible. So basically guys we are being asked by the universe to watch your thoughts and that your thoughts create your reality. We are being asked daily, in every moment to be mindful of whats going through our thought process. You are being asked that you be mindful of the chatter that goes on in your head……your inner and outer spoken words, your beliefs about yourself and your life, especially what you believe you deserve and what you feel and think you are worthy of.